Nowadays, salespeople have less power than ever when it comes to requests for a customer discount; the amount of competition in every market means customer loyalty is cheap and saying yes to discounts can sometimes be the only way of ensuring that a customer doesn’t go and spend their money elsewhere. So, what are your options, which one should you choose and what’s the best thing to do, tactically speaking? Read on to find out. You’ve got 2 options: the blue pill or the red pill. 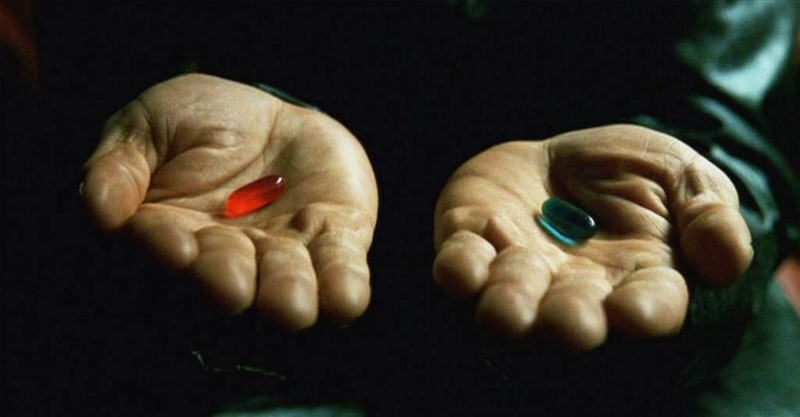 Take the blue pill and you’ll say yes to your customer, giving in and then getting on with the rest of your day. 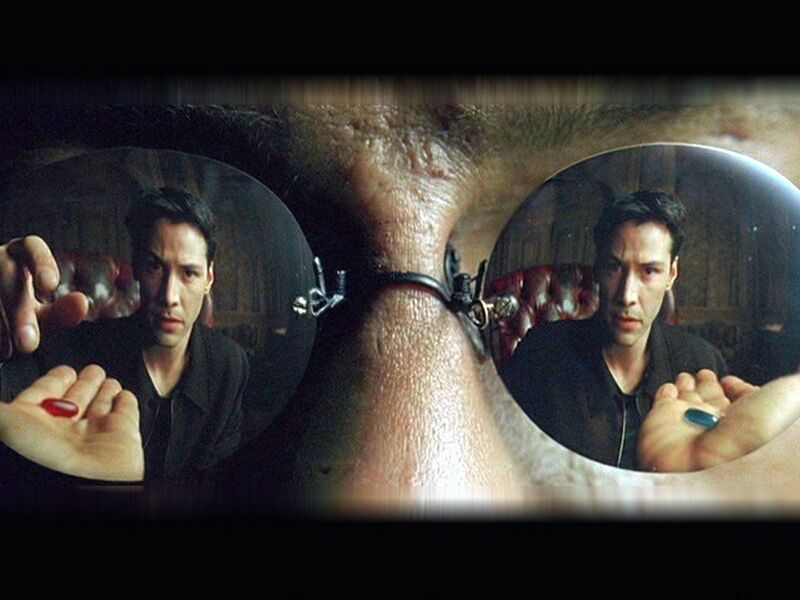 Take the red pill and you say no, which can open up a huge can of worms. Luckily, this isn’t the Matrix*, and the difference between the red pill and the blue pill can be easily distinguished when it comes to customer discount requests. You need to be smart and think about the pros and cons for each option, as well as if there are any clever ways you can disguise your yes or no so as to cushion any blow or make the most of giving the customer what they want. Personally, I think you should almost always think about justifying why no is the right answer here. In your opinion, your prices should already be more than fair because of the fantastic added value you offer in terms of great customer service, transparency, fast delivery or whatever your company’s USPs might be. The key thing to take into account is circumstance. The reason there’s no silver bullet to the customer discount question is that the answer you give will be completely different depending on who has asked for the discount, as well as exactly what they’re requesting. It would sound like a bit of a cop out to tell you to just trust your instincts, but the truth of the matter is that your instinct is guided by what you know; if you know your accounts inside out, from their buying patterns to how much profit they make your company per year, you should be able to gauge whether or not to give a discount. Once you know your accounts, you’ll know whether or not it’s right to say yes or no. Still, you need to give your answer and there are a lot of different ways you can go about delivering the news. If you do decide to give a customer discount, one suggestion I’d certainly make is to dress it up and make the most of it. You could, for example, offer a customer discount if they consolidate their spend with you; are there any products that their business obviously needs to function but doesn’t buy from you? If so, you could ask where they buy them and offer a discount on a package deal including what they do already buy. This way, you can take business from your competitors while giving your customer a better deal in the process, which is a win-win situation. Another tip I’d offer is to setup and promote a loyalty scheme; offering a discount which increases when companies spend more money over a greater period of time is a really smart way of building customer loyalty while having them actually want to spend more with you. If they feel like they’re getting something back, they’ll keep on spending, and if they think spending more will boost the discount they get in the future, they’re far more likely to stop spending with your competitors and buy everything from you. You’ll need to be careful not to just say no – you’ll have to explain why, too. Explaining in too much detail and sounding panicked, however, will make you come across as unconfident in your decision. Do this and most will get annoyed and cry “bad service”. If you’re just saying no outright, make sure you have a bona fide reason for saying no and explain in a confident tone. People can argue all they want but if the decision isn’t going to be a profitable one for you in one way or another, stick to your guns. Some customers can actually cost you more money than they’re worth (see the big grey box at the bottom for more on that), so losing them isn’t always a bad thing. However, I’d always suggest trying to strike a deal rather than just saying no. If it’s initially negative, say why and then offer a discount on an up-sell or cross-sell product, or discount if they buy more volume. This way, you can get the deal you want, give the customer more value at the same time and take business directly form your rivals. This, again, comes down to knowing your marketplace and accounts; you should already know the sorts of products the business you’re dealing with needs, so why not try to have them buy different products from you in the midst of their request? If you can increase the amount of units they purchase or number of different products they buy from you with the right discount as a package, it’s probably worth doing in the long run as it will open the door to more deals of a similar ilk in the future. 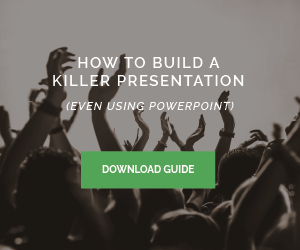 If you’re interested in this subject, have a look at our latest eBook: Why your customers are killing your business. It’s completely free and available now.